The Hatha yogi should live in a kingdom that is properly governed, virtuous, prosperous and peaceful. I have a Dutch article here about Gandhi. We see Gandhi as the loin clothed advocate of non-violence, but this is a distorted view. He was a religious extremist, believed himself to be spiritually superior, and encouraged his followers to be overrun by horses or beaten black and blue by the Imperial British aggressors. Not peaceful. Nor is starving yourself to death. Before the rest of the world had even heard of the term, Gandhi developed passive aggression into a weapon that was as effective in battle as an atomic bomb. Even among yogis there are different views on war, what to fight, when to intervene, etcetera. Where the Hatha Yoga Pradipika clearly indicates you should simply move to a better turf, the Bhagavad Gita speaks of Dharma, the tasks you have, the role you play. This includes the option of being a warrior and fighting for (or if you’re lucky against) an evil king. On a personal level too, you can choose between fighting or fleeing or developing other coping strategies. I totally dislike the idea of fighting something. The only thing you should fight is something you want more of because that is what you re going to get. War on Drugs. The Fight against Aids. Battling cancer. How do you expect to get less of something you give so much power? If you want to read more about how words influence your life I recommend You Can Heal Your Life by Louise Hay (book or movie). 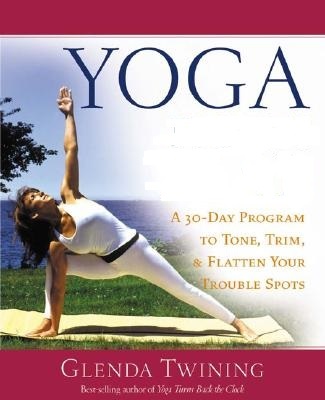 This month and in December too I am teaching from a book with the title Yoga Fights Flab. I have taken the second half of the title away, with software in the picture right, and with stickers on the book I bring to class. If you really think your weight needs addressing I recommend “The Gabriel Method” (book) It is the only method that starts with acknowledging that your body is (already) acting on your behalf. But it has its own wisdom and that the only way to lose weight is to understand why it is holding that weight (for you). We may not be able to understand, and certainly not fight, all the evil in the world, but we can make peace with our own body. And we already live in a kingdom that is prosperous, virtuous and peaceful. This entry was posted in Yoga@Home and tagged home yoga, Louise Hay, weight loss. Bookmark the permalink.